A few months back while visiting our local library I stumbled up a Christian Author, Debbie Macomber. The very first book I read that she wrote was One Simple Act. Now I say the.very.first. because I have not been able to stop reading her books ever since that one! She tells us that we need to act on those little nudges we all have from God. You know the firemen you see raising money in the freezing winter while doing a coin drop-buy him a coffee. The lady you see walking in the rain to the bus stop-offer to give her a ride. The lady who is counting her pennies at the check out with the stressed out look in her eyes as though she is calculating every item being rung up at the grocery store-if you can, pay for her groceries. Debbie also explains in this book that she chooses a word a year to live that year of her life by. I thought this was such a great and simple idea that this is the first year I am doing it. And I am going to really stick by it-feel free to hold me accountable! Believe in myself…try something new. Believe in Him…spend more quality time with Him. Believe in this world…that not everyone is out to hurt one another. Give everyone a chance. Believe that I have power…to do great, powerful, life changing things. Believe that my kids are only 5,3, and 1…and will not march to the drum like army ants and obey me (and that’s okay). 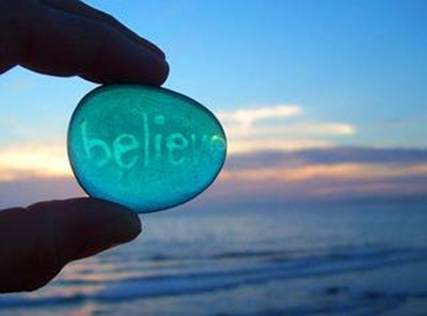 Believe that I matter…to believe in myself more, to gain confidence. So that friends is my word for the year…Believe. I never fully decided on a word for this year, because I felt like I had too many. But if I had to pick, it would be “live.” I want to live this year to the fullest and come out loving life.